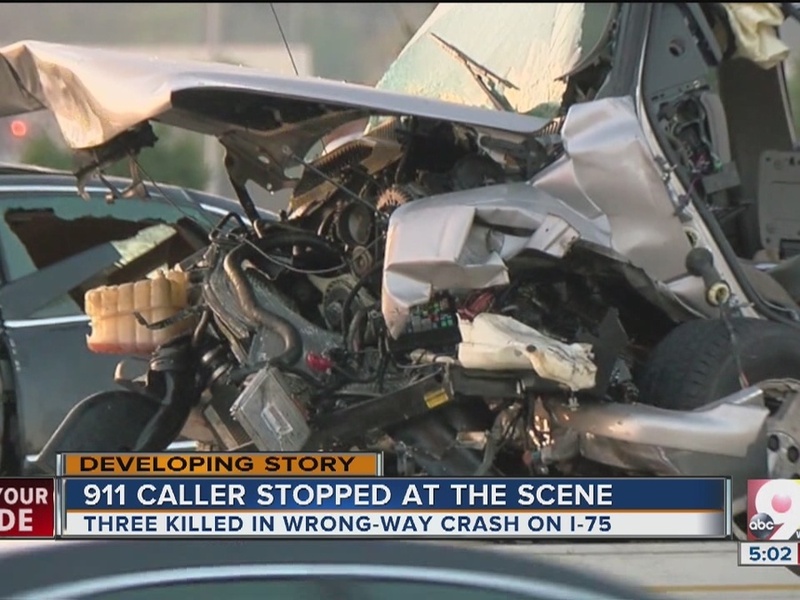 EVENDALE, Ohio - The driver who caused the deadly wrong-way crash on Interstate 75 early Friday morning was going the right way when he suddenly made a U-turn and headed directly into oncoming traffic, according to the police report. The Evendale Police report, obtained by WCPO Tuesday, confirms witness accounts that 30-year-old Kory Wilson was driving north in the northbound lanes near the GE plant before turning around and heading southbound. Several vehicles avoided him until he crashed head-on, killing himself and a Fairfield couple, Nazih Shteiwi, 61, and his wife, Halla Odeh Shteiwi, 55, in a horrific high-speed collision. The police report doesn’t answer the big question: Why did Wilson turn around? Wilson was suspected of driving drunk, according to the police report. That supports what Bengals cornerback Dre Kirkpatrick said after the crash. 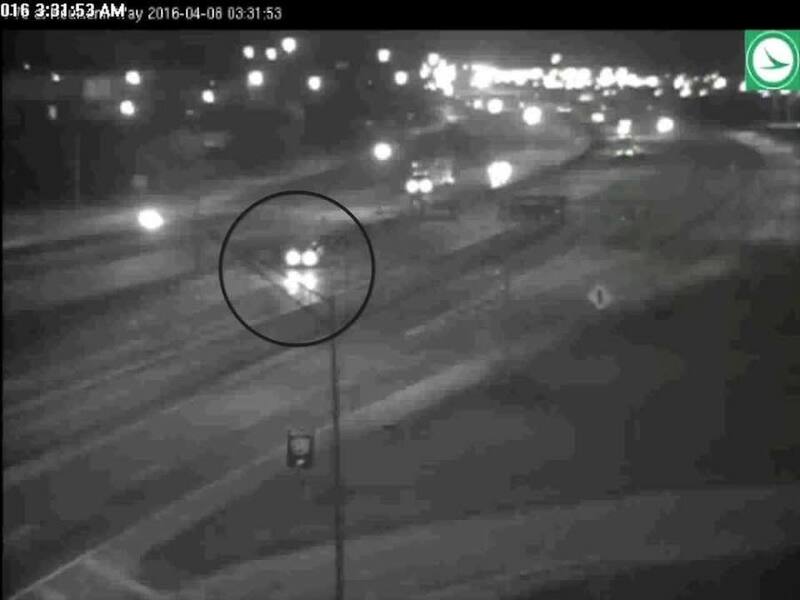 SEE Wilson's car going the wrong way in the video player above. "Upon reaching the 13.6 [milepost], Unit #1 (Wilson) made a U-turn and for some unknown reason began traveling southbound on IR 75 in the northbound lanes. "As Unit #1 (Wilson) continued south he narrowly missed being struck by several vehicles traveling northbound. Unit #2 (Shteiwi) was northbound on IR 75 in the area of the 13.2 MP in the left lane. As Unit #1 came around the bend at the 13.2 MP, he was also in the left lane of travel. Unit #1 struck Unit #2 head on." Another northbound driver, 36-year-old James Gist of Hamilton, was coming up in the right lane, according to the report. The collision pushed the Shteiwi car into the right lane in front of Gist. 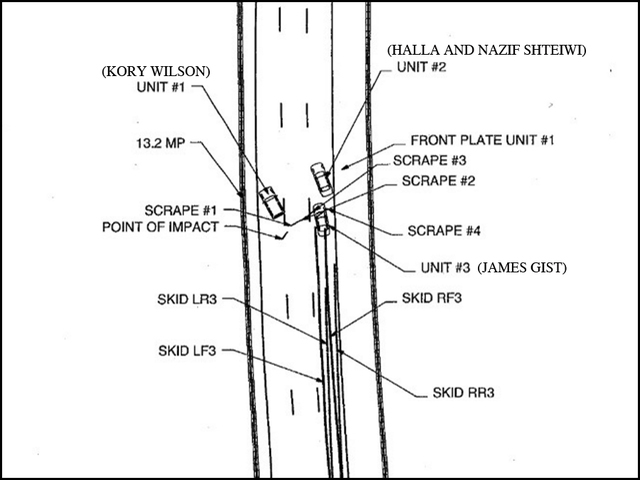 Gist braked to avoid it but hit the left rear corner of the Shteiwi car with his right front corner, the report says. 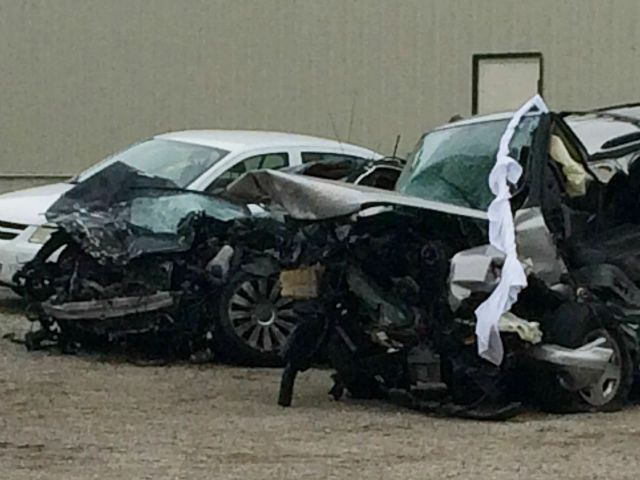 Police estimated the Shteiwis'Audi A-8 was going 80 mph and Wilson's Chevy Tahoe was going 60 mph at impact. The couple were wearing laps and shoulder restraints, but Wilson was not wearing any, according to the report. All three died at the scene and had to be cut out of the wreckage. Wilson's Chevy Tahoe (right), Shteiwis' Audi A-8 (center), Gist's Chevy Cobalt (left). 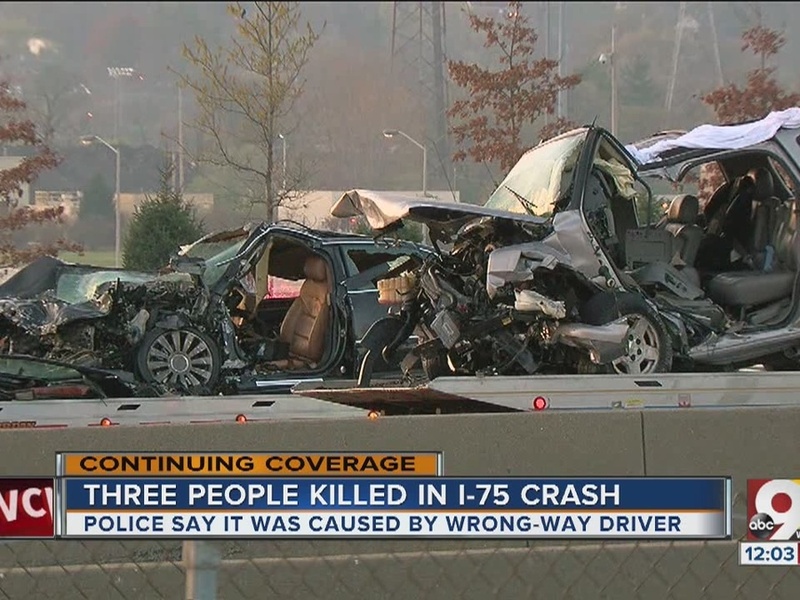 A crash expert who examined the wreckage told WCPO the crash was not survivable. Gist's injuries were not life-threatening. He was transported to Mercy Fairfield Hospital. Wilson, of Springfield Township, had been drinking too much and shouldn't have been driving, according to the Bengals' Kirkpatrick. Speaking on Twitter, Kirkpatrick said he was a friend of the rapper and ran into him at a bar. Kirkpatrick said he blamed himself for not staying with Wilson and not allowing him to drive. Toxicology tests will take eight to 10 weeks, Evendale Police Chief Neil Korte said.